MAG Holding is a family owned business with investments in a multitude of countries and industries. Over the last 30 years, we have successfully built, acquired, and invested in healthcare, technology, insurance, fresh produce, aviation, real estate, manufacturing, and construction. Our reputation for honesty, family unity, and a strong business ethic has been the fundamental reason for our success. 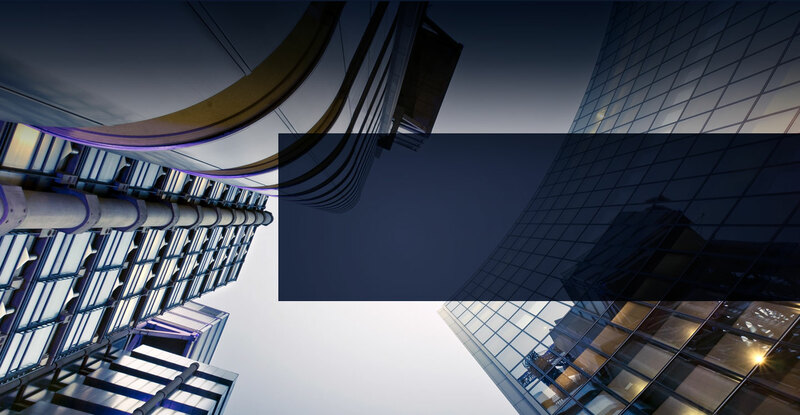 Highly qualified and educated members of the Abughazaleh family personally oversee and manage each of the investments in its respective industry. Maher is a highly respected businessman with vast experience spanning over 40 years in multiple industries. He is solely responsible for the creation and successful operation of MAG Holding including its investments. He has or continues to serve on the board of directors for several local and international corporations like Fresh Del Monte Produce, Clemenceau Medical Center (affiliated with Johns Hopkins International), Arab Wings, Royal Jordanian Air Academy, Suma International, and National Poultry Company Jordan. He is currently still the Founder and Chairman of both Clemenceau Medical Center (affiliated with Johns Hopkins International) and Suma International General Trading and Contracting Company. Maher graduated with a BA in Business Administration from Washington Jefferson College in Pennsylvania. Tarek joined his father Maher at MAG Holding in January 2004. Having earned both a BA in business marketing from California State University Fullerton, and a Masters in Public Health (MPH) for hospital management and policy development from the American University of Beirut, he is responsible for the strategic expansion and diversification of the MAG Holding portfolio. CMC is a Beirut based 106 bed tertiary care hospital, affiliated with Johns Hopkins Medicine International. The hospital is the first of its kind in the region and is equipped with the most modern and advanced medical equipment. The hospital stands out as a boutique facility, delivering the best healthcare to its patients. The facility is currently undergoing an expansion which will include 57 new beds, 4 additional operating rooms, a cancer center, hemodialysis and stem cell unit. The CMC brand is also expanding into neighboring countries in the region. There are currently 3 new CMC hospitals under construction in Saudi Arabia, Dubai, and Jordan. Mr. Maher is both the founder and Chairman of the original CMC hospital based in Beirut. He retains the majority share and continues to grow the brand locally and internationally. MAG Technologies owns and developed a mobile messaging application for both iOS and Android currently listed on both Apple App Store and Google Play store under the name “Sayfe”. 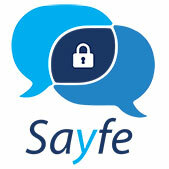 Sayfe’s mission/vision is to provide a safe and discreet messaging experience, allowing users the ability and flexibility to control their degree of privacy. Key features include online visibility, message revival and retraction, amongst a few others. Maher Abughazaleh is the sole shareholder in MAG Technologies and has personally invested in a number of technology startups alongside blue chip firms like Google Ventures, Sequoia Capital, Artis Ventures, and Oryx Ventures. Del Monte is one of the world’s leading producers, marketers and distributors of high-quality fresh and fresh-cut fruit and vegetables, as well as a leading producer and distributor of prepared fruit and vegetables, juices, beverages and healthy snacks. Del Monte was acquired by the Abughazaleh family in 1996 and taken public on the NYSE the following year. As a family, they retain the majority shareholding and operational control of the corporation. Mr. Maher Abughazaleh served on the Board of Directors from 1997 till 2011.
International Wings Group (IWG) comprises of four entities; Arab Wings and Gulf Wings (both private jet charter operators) and aviation training facilities Royal Jordanian Air Academy and Queen Noor Technical College. Based in Jordan, Arab Wings was founded in 1975. Gulf Wings was founded more recently in Dubai to represent the Arab Wings GCC operations. Both companies pride themselves on their outstanding levels of safety, quality and customer service. The Royal Jordanian Air Academy was established in 1966 and is among the leading flight academies in the region. It is certified by the Jordanian Civil Aviation Regulatory Commission (CARC), and in 1999, obtained FAA certification for pilot ground school. Queen Noor Technical College has been operational since 1973. Its creation stems from the Civil Aviation Authority of Jordan’s decision to set up a technical training centre to provide the industry with qualified employees of Jordanian descent. The College now acts as a premier hub for training aviation professionals from Jordan and the wider Middle East. Maher Abughazaleh has personally invested and developed a multitude of projects in Beirut, Lebanon. Those projects range from healthcare facilities to residential and commercial developments. Additionally, Mr. Abughazaleh personally owns a large number of prime lands in the region. Most of which are already approved and permitted for a multitude of development projects ranging from hospitals and shopping malls, to residential and commercial towers. Suma International General Trading and Contracting Co. W.L.L. Suma International General Trading and Contracting Co. is a Kuwait based company that was established in 1995 after it was spun out of METICO. A diversified trading company formed in 1966. METICO's building material activities were transferred to SUMA as the sole and primary provider of all basic construction materials. SUMA has proved itself in the market by capitalizing on product quality, reliability, and customer service. Suma Int. is currently undergoing a massive expansion, through its acquisition of a steel mill manufacturing plant in the neighboring country of Bahrain. The aim of this expansion is the replacement of a key link in Suma’s supply chain of manufactured steel rebars and, is set to be branded as “Universal Rolling Mill”. By internalizing steel procurement through its own manufacturing plant, thus lowering costs, Suma Int. will see huge growth over the next 5 years. Mr. Maher Abughazaleh is the Managing Director and Chairman of both Suma Int. and Universal Rolling Mill. Located in the free zone, 25km south of Alexandria, Egypt, Porcelain International is a 23,000sqm manufacturing facility of high quality porcelain products. Annual production capacity is 4 million pieces of various tableware suited for every home and first class banqueting. PI was established in 2003 and is slated for an expansion within the next two years.